Business dynamics operate on ‘Visibility’. It is the big key to create and reach the desired audience. Whatever you see, is generally what you buy. Visibility often triggers sales. Lack of visibility, despite of a good product or service, might lead to a slump situation. If the audience is not aware about the presence of the product, how will it ever convert into real sales? Realistic Marketing is the core mantra for a successful business. It does not matter how big or small the setup is, because without realistic marketing the business will not reach the prospective audience. The business world is dynamic and ever evolving. It transits from once phase to another in no time. Vigorous marketing creates the trigger. The market is cluttered with products, and it is only marketing that makes the business standout. Every business should have a solid marketing strategy planned in advance. This is important for its survival and growth. A good business opportunity is created by a combination of genuine product or service, timely deliveries, maintaining the quality, appropriate pricing and more. What brings and holds it all together is smart and strategic marketing. The importance of marketing cannot be overlooked, if one has to keep pace with competition in the business world. ‘Marketing’ is far more complex than just a choice of media - putting up banners, screening advertisements, maintaining active social media accounts. It is a deeper science, where we need an in depth understanding of the product, the concept; we need to recognize the market patterns and the prospective customer. If a business is dealing in ‘kids products’ for example, then the choice of media should be picked to reach out to the end users and influencers of that category of product. If we take up air time on television channels, then we should opt for more of relevant channels, like cartoon channels, family entertainment channels. It need not run on news channel because that is not the target audience the business is seeking. Hence, the media buying and planning needs to be based on the demographic and psychographic mapping of the end user or customer. Over time, marketing has changed, evolved and grown. It is no longer about just advertisements through mass media. Technology and social media have become a big part of the media plan, for a wider reach. Because it is no longer about just creating awareness among consumers, it is about involving them and leaving an indelible impression on their minds. A ‘Successful Marketing Plan’ in built on the solid foundation and in-depth understanding of the marketing concept. While there are a few principles that form the basis of marketing and helps in building the business, a lot of it comes from constant market monitoring, product and strategy evaluation, and instincts. We learn, make mistakes, learn again. At times, some marketing methods hit-off instantly, whereas others could fail.. Clarity in approach, in understanding the product or service and the market is what will lay the foundations for a good start. The core USP’s should be identified and communication should be built around it. The customer should be well aware of what they are getting. There should be a clear point of differentiation from competition. The second step is to identify the market and audience at whom the product or service is targeted. This identification provides a direction to the marketing strategy. For example- if a business is selling a product for women utility, then the business must focus on women as their primary audience, and influencers as the secondary targets. The main language of the communication and marketing plan should also focus on the primary target - women. 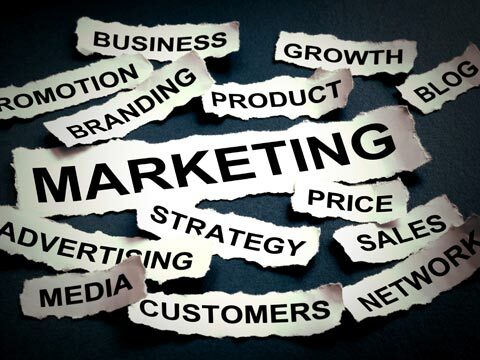 Marketing should be focused, tight and not scattered, thereby also saving company resources. Knowing your competition is another very important aspect of business. One should be well aware about the similar products existing in the market and should be able to formulate unique selling proposition for their product. This uniqueness should be the key ingredient of the marketing strategy, that will attract customers and lead to growth of the business. It will lend the business an edge over the other products or services available in the market. The fourth step is to create awareness. The business should use its resources to create awareness about the offered product or services. If there is no awareness about the product in the market, how will people buy it? Hence, the business should look for consistent, repetitive exposure, so that they create recall in the end buyers mind so that whenever they have a need for that particular segment of product or service, they invariably think of our brand. And lastly, as important as it is to build a recall for the brand, it is equally important to build product credibility and perform consistently to win their trust and to build a loyal customer base. The article has been penned down by Poonam Lal , Managing Director , Marketing Solutions Pvt.Ltd.